Are you planning to attend the Austin City Limits festival this weekend at Zilker Park? We are all a-buzz in the office here, because for the 9th year, we’ll be providing free shuttles to/from the festival and Republic Square Park. Click on the map to open a larger version. Most routes serving downtown will get you close to Republic Square Park, where you can catch a free shuttle to ACL. The shuttles begin at 10 a.m. each day and the last departure from Republic Square to Zilker Park is at 8 p.m. The last shuttle returns passengers after the festival around 11 p.m. Parking is not provided at the festival. Patrons are encouraged to ride Capital Metro to the shuttle boarding site at Republic Square Park. Several routes drop off within a block of Republic Square, and most regular routes provide service until midnight. Another option – Ride one of Capital Metro’s regular routes followed by a short walk to the festival: 3, 5, 30 and 338. Capital Metro encourages festival-goers to plan their trip ahead of time using our online trip planner. Or plan your trip on the fly using Dadnab, a free mobile texting application. Fares apply on regular Capital Metro routes. Purchase a MetroBus Day Pass for just $2 onboard the bus and get unlimited rides for 24 hours. How are your shuttles going to get through the lines of cars driving to park in areas around the festival? Did you actually get a reserved lane all the way to Republic Square this year? 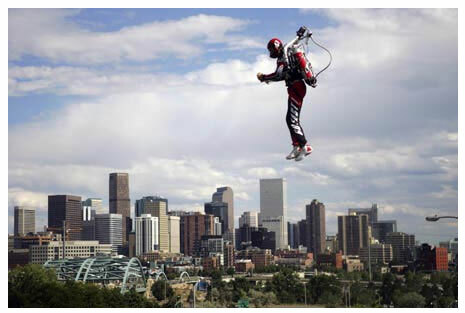 Could jetpacks be an option for next year? Where does MetroAccess let you off and pick you up?? And of course no Rail service was done.